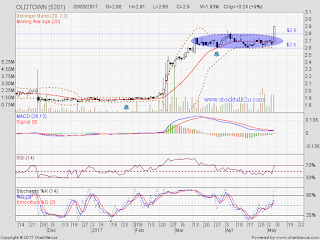 OLDTOWN succeed breakout RM2.80 resistance level ? Immediate resistance @ RM3.00 which psychology level. 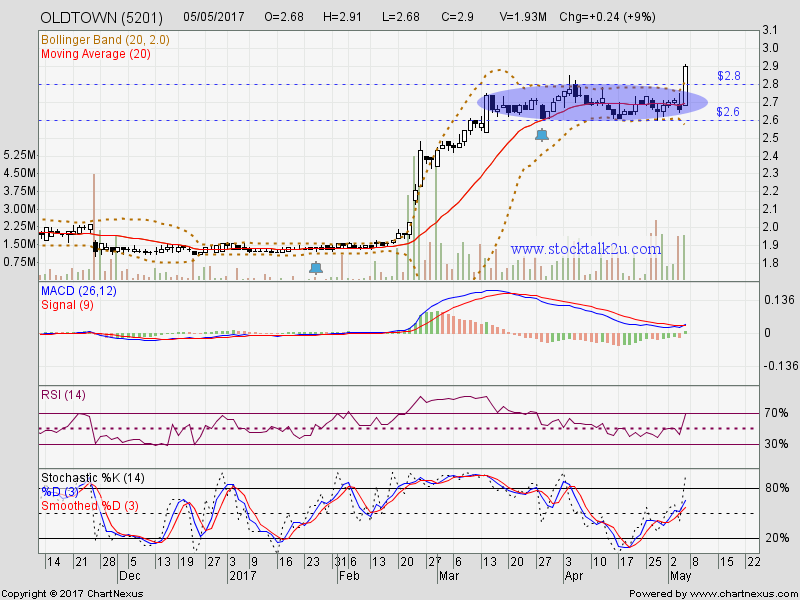 Immediate support @ RM2.80 level. Subsequent support @ RM2.60 level. Higher high is confirmed, so uptrend will be resume.